Finally, the much awaited Nokia 8 Android smartphone launched here at an event in London. It is the third in a series also the flagship device of the company. The design of the handset is in line with what we shared last month. 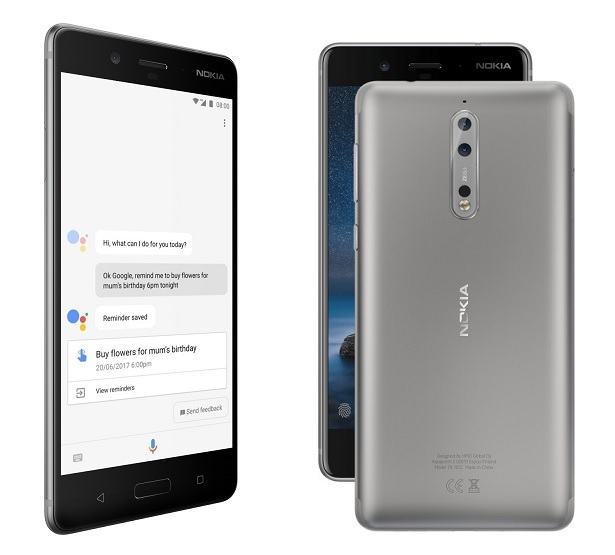 The other two smartphones, the Nokia 3 and Nokia 6 has already been launched a couple of months ago. The highlight of Nokia 8 smartphone is its cameras, which is the result of the partnership between HMD Global and Carl Zeiss. The handset has been given IP54 rating making it water resistant and it is packed in 6000-series aluminum case. 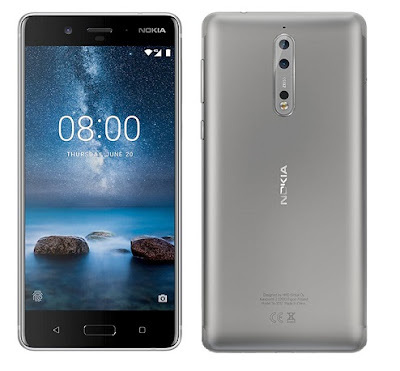 Being an Android flagship smartphone of HMD Global, the Nokia 8 packs some powerful specifications and as mentioned earlier, the highlight of the phone is its cameras, a dual 13-megapixel shooter at the rear and the same resolution single camera on the front. Both, the front and rear cameras are capable of capturing images and videos at the same time, which is a new feature called Dual-Sight mode that sets apart the Nokia 8 with other phones in the market equipped with a dual-camera setup. The camera also comes with built-in streaming feature straight to Facebook Live and YouTube Live. There is a Qualcomm Snapdragon 835 chipset that powers the device paired with 4GB of RAM and 64GB of inbuilt storage which is expandable via microSD cards of up to 256GB. The smartphone will be launched in both single SIM and hybrid dual SIM variants, depending upon the markets. Other specifications include a 3090mAh battery, a 5.3-inch 2K LCD screen protected with Corning Gorilla Glass 5, USB 3.1 Type-C port along with a 3.5mm headphone jack. In the international market, the Nokia 8 will be available in early September, priced at an equivalent of 599 euros ($703), while the handset will be made available in India in early October. There is no price tag given for the Indian market, but it will be known closer to launch. The Nokia 8 to come in four different color styles, glossy Polished Copper, Polished Blue, matte Tempered Blue and Steel finishes.